A furry red Muppet monster might seem an unlikely figurehead for a one-man campaign, but Elmo is the moniker adopted by fathers’ rights activist Bobby Smith, a dad of two girls, who has been a sharp thorn in the backside of the establishment over the last few years. Smith, a 34-year-old lorry driver from Stevenage, Hertfordshire, adopted Elmo’s name after he was ordered by a family court not to publicly name his children. 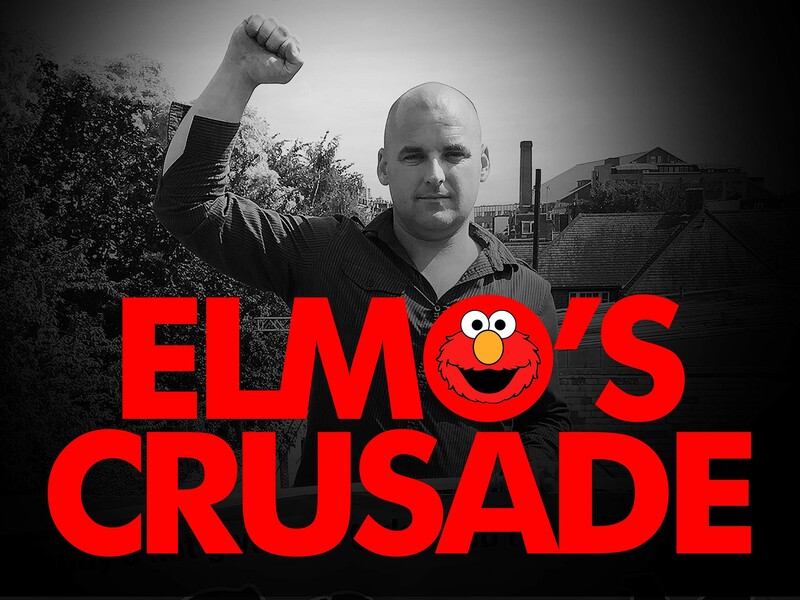 To circumnavigate the restriction, he realised that if he combined the first two letters of his daughter’s names, it spelt Elmo, and a campaign hero was born. After separating from his partner in 2008, he originally had his children staying with him for a couple of nights each week, but in 2010 he was accused of assaulting his ex and arrested. Despite no charges being brought, the accusation hung over him in the family courts like the Sword of Damocles. After applying to the court for contact, Bobby faced a familiar string of malicious allegations, cynically calculated to deny him access to his daughters. He was accused of drug taking and paid for a £350 hair strand test to prove his innocence. Contact resumed at the end of December 2010 on Saturdays for eight hours and overnight stays, however his ex made further harassment accusations and Bobby was arrested for a second time. In June 2011 he was acquitted of all charges, but was still given a restraining order by the court as if he had been found guilty. Bobby was devastated. It was the last time he saw his girls on his own. Desperate to see them, Bobby agreed to undergo a psychological assessment and two additional interviews for addendum reports. All three reports said he was a fit father. Even the Section 7 Cafcass report said contact should be resumed. In an astonishing turn of events, the court paid for her to be assessed – not to establish whether she was a fit mother with a pattern of making false and malicious allegations – but to assess the psychological damage the court case had on her. 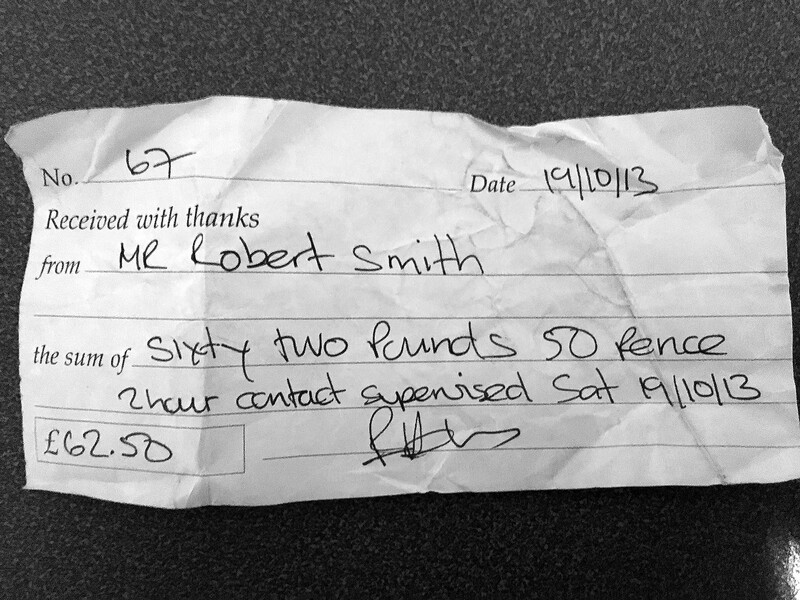 Bobby was dumbfounded, yet was coerced into three months of supervised contact with the girls in a contact centre for two hours every Saturday, at a cost of £62.50 a session. Those three long months went on to become two, long, heart-breaking years. Desperate to prove he was a good parent to the court, he took a 17-week parenting course with the Caring Dads Group, but left in disgust after he felt they were indoctrinating men to see themselves as abusers, and women as victims. Then in June 2013, a judge in the family court decided that on the ‘balance of probability’ Bobby had assaulted his ex-partner all those years ago despite no criminal charges being brought. He was ordered to attend an ‘Integrated Domestic Abuse Programme’ for six-months. Bobby refused and appealed to the High Court. In October 2014 he lost his appeal. It was a defining moment for a father who had been subject to a litany of false allegations that were cruelly used to separate him from his two girls by a vindictive mother. When faced with the living bereavement of losing his children, Bobby decided to protest. 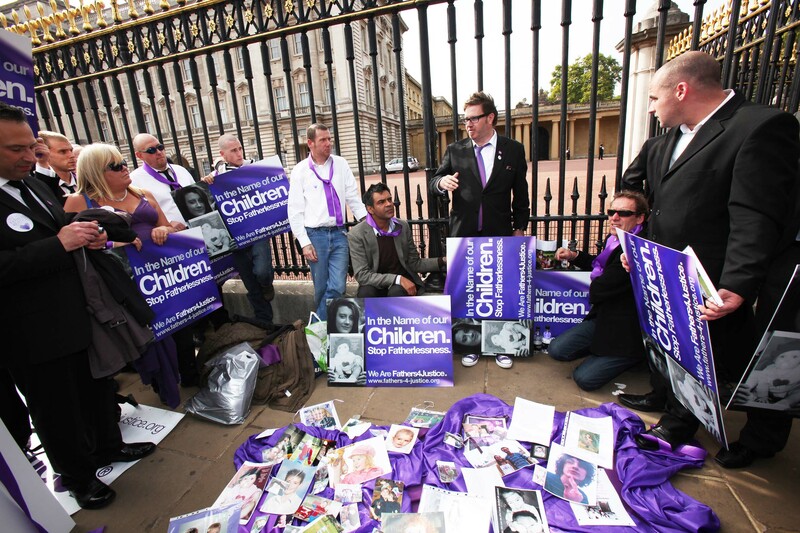 In 2011 he had attended a Fathers4Justice protest outside Buckingham Palace with Matt O’Connor, but decided to wait until he had exhausted every legal avenue to see his children before protesting. 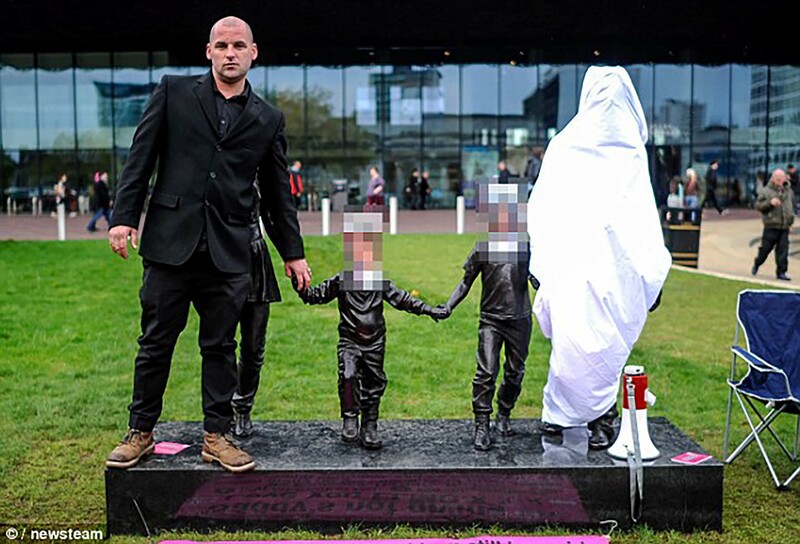 He started immediately after he lost his appeal in November 2014 by protesting at the statue of Gillian Wearing’s “Real Family” sculpture in Birmingham that featured two mothers and no fathers. He stuck pictures of himself and his two daughters on the faces of one of the mothers and the two children, and covered the remaining mother with a white sheet. 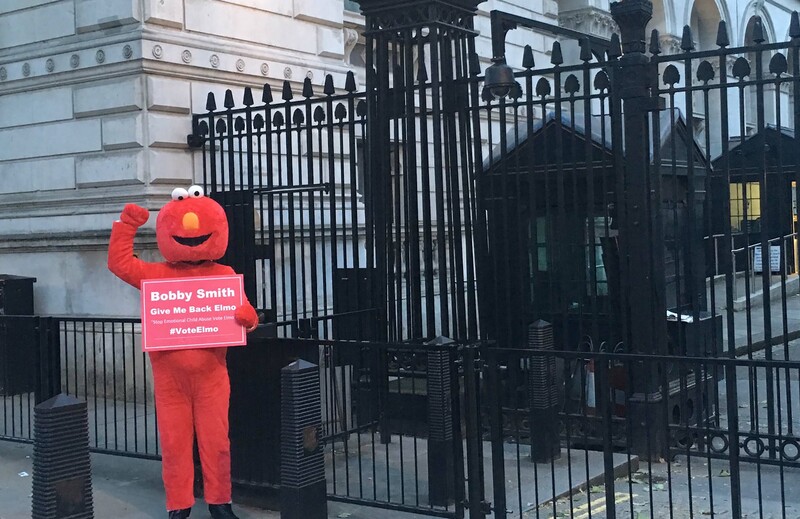 Bobby’s ‘Elmo’ campaign took him to David Cameron’s Oxfordshire home where F4J founder Matt O’Connor had carried out an eight-day hunger strike in 2011. Bobby left a letter asking the then Prime Minister for help. He then visited Cameron a second time at his holiday home in Cornwall. 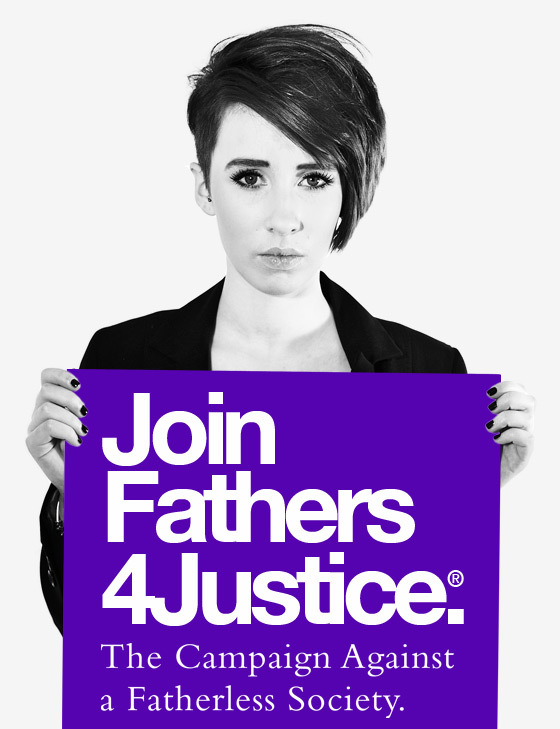 Cameron spoke to Bobby for half-an-hour and told him that feminists were already up in arms about the Children and Families Act 2014, which in itself was a betrayal of Conservative promises made to Fathers4Justice before the 2010 election. The act did not contain a single Tory promise or include a presumption of shared parenting. It was a sham. Cameron sent a ‘Dear John’ letter to Bobby with an expression of sympathy, but little else. Further visits to the Cameron’s home saw him receive a warning for harassment, but Bobby’s position was clear: if you visit trouble on my home, I will bring it to yours. Bobby followed up with protests around the country and door-stepped Nick Clegg to ask him for help. After discussing the issue at length with him, he thought the deputy Prime Minister had understood the issues, but when Clegg was later photographed wearing the infamous ‘feminist’ t-shirt, he realised there was little hope. In July 2014, for one of his daughter’s birthdays, he put a birthday banner on the side of a house on the route his ex partner took the children to school. He ended up with a conviction for harassment. A conviction for telling his children he loved them. In 2015 Bobby stood as a candidate in Witney against David Cameron and tailed Harriet Harman’s infamous pink bus on its tour of the UK. 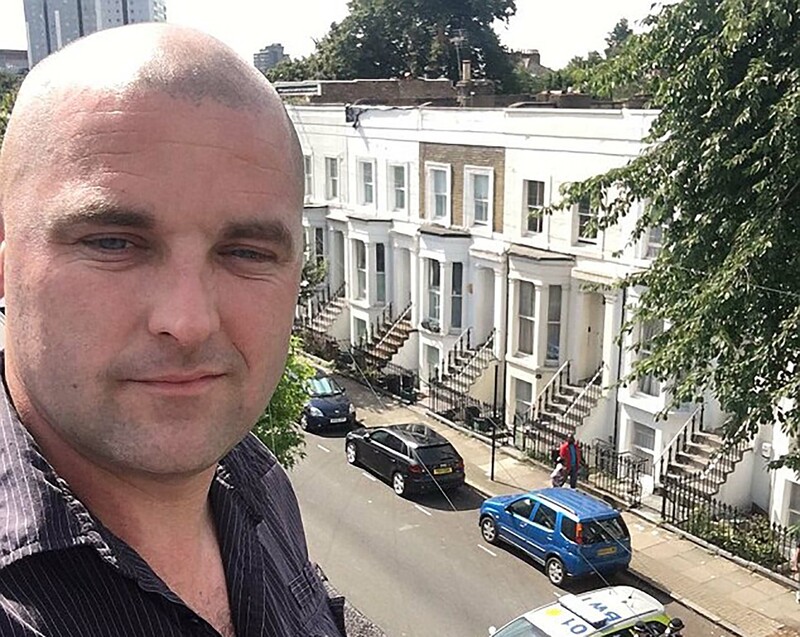 In November 2015 Bobby and Martin Matthews scaled the gallery at Buckingham Palace followed by protests at Boris Johnson’s house in April 2016 and Jeremy Corbyn’s house in August. He now faces several trial dates, and the risk he will be sent to prison. It takes a rare courage to defy the might of the British establishment. But this crusade proves beyond any doubt that this father is no muppet.